The work of the French literary review, intellectual grouping and publishing team Tel Quel had a profound impact on the formation of literary and cultural debate in the 1960s and 70s. Its legacy has had enormous influence on the parameters of such debate today. From its beginning in 1960 to its closure in 1982, it published some of the earliest work of Jacques Derrida, Julia Kristeva, Michel Foucault and Roland Barthes. It was also associated with some of the key ideas of the French avant-garde, publishing key articles by Georges Bataille and Antonin Artaud. 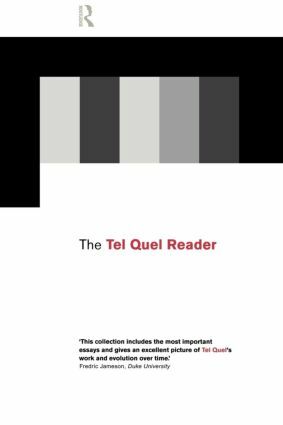 The Tel Quel Reader presents for the first time in English the key essays written by the Tel Quel group. Essays by Julia Kristeva, one of the review's editor's Michel Foucault, and a fascinating interview with Roland Barthes are here made available for the first time in English. It provides a unique insight into the post-structuralist movement and presents some of the pioneering essays on literature and culture, film, semiotics and psychoanalysis. Assembling key essays from over a twenty-year period, The Tel Quel Reader is an indispensible resource for students of literature, cultural and visual studies, philosophy and French studies.